It didn’t take long for the axe to fall following the January 9 Village Voice Media sale of the award-winning SF Weekly newspaper. 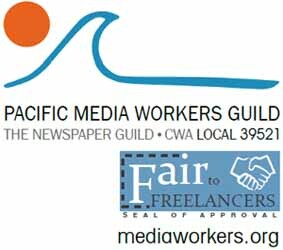 SF Weekly editor Tom Walsh was terminated with immediate effect Thursday, confirmed publisher Todd Vogt, co-owner of the San Francisco Newspaper Company, the parent company that previously added the SF Examiner daily in 2011 and the SF Bay Guardian weekly in 2012 to its ever-expanding publications portfolio. Walsh, who had served as editor of the SF Weekly since 2005, was effectively ousted, sources confirmed. Walsh did not respond to a request seeking comment. Separately, Vogt said there would be no terminations at the SF Bay Guardian which is led by Editor Tim Redmond. Comments for Axe Falls on SF Weekly Editor are now closed. Four separate publications with essentially the same political perspective. Why is that a good thing? Vogt’s valuation of Redmond’s abilities is, well, inflated. Under Walsh the Weekly has been loads classier than the Guardian. Can’t imagine Sherbert putting up with the garbage posters who people Redmond’s online presence. At the end of the morning dump there are still 4 separate publications killing trees to get my attention in SF as a political junkie and I’m glad they’ve survived.